This entry was posted on Sunday, February 20th, 2011 at 5:48 pm and is filed under Book/Film News, Today in Hollywood. You can follow any responses to this entry through the RSS 2.0 feed. You can skip to the end and leave a response. Pinging is currently not allowed. Wow! What beautiful pictures you take Allan. 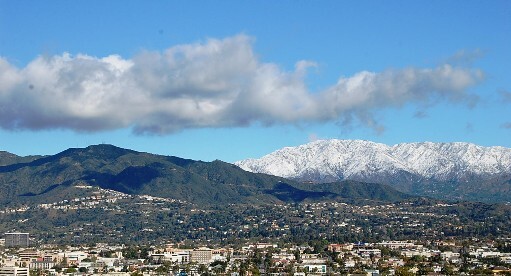 L A is beautiful at any one time, but the snow surely frosts the cake, sorry, no pun intended. The photos are award winning. Here in Minnesota, we were dumped on by another snow storm. This has been a long and hard Winter for us. Thanks for the “Snow” pictures of my favorite city in the United States. Spectacular photography! Would you please share what kind of camera you use? All of your pictures are so fantastic. Thank you! Hi Diane, how are you doing? I have a Nikon D40 camera. its very easy to use. Thank you.